With its striking features and open floor plan, The Ponderosa is the perfect balance of modern and comfortable for relaxed mountainside living. With its striking appearance and floor to ceiling windows, The Ponderosa with loft option is designed to bring natural light and nature into the living space. With 1,553 square feet of split-level living space, The Ponderosa with loft has two bedrooms, two bathrooms and sleeps 4-5 people. With its striking appearance and floor to ceiling windows, The Ponderosa with loft option is designed to bring natural light and nature into the living space. With 1,020 square feet of single living space, The Ponderosa with loft has two bedrooms, two bathrooms and sleeps 4-5 people. The Ponderosa with loft floor plan was thoughtfully designed for relaxed mountain living. A grand entry with expansive wraparound deck frames the stunning views that can be seen from nearly every angle inside the home. A circular stairway connecting the lower level to the loft adds modern design interest, while the spacious living room/dining room and kitchen makes it an ideal space for gathering with family and friends. 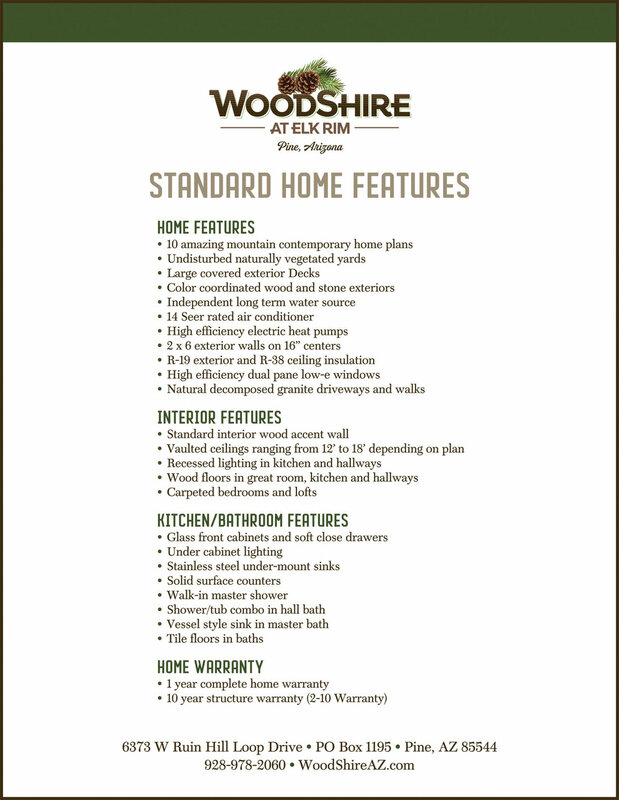 The Ponderosa standard floor plan was thoughtfully designed for low-maintenance vacation living. With an open floor plan, the The covered patio frames the front entry of the home which opens to the bright and airy living room and dining area. 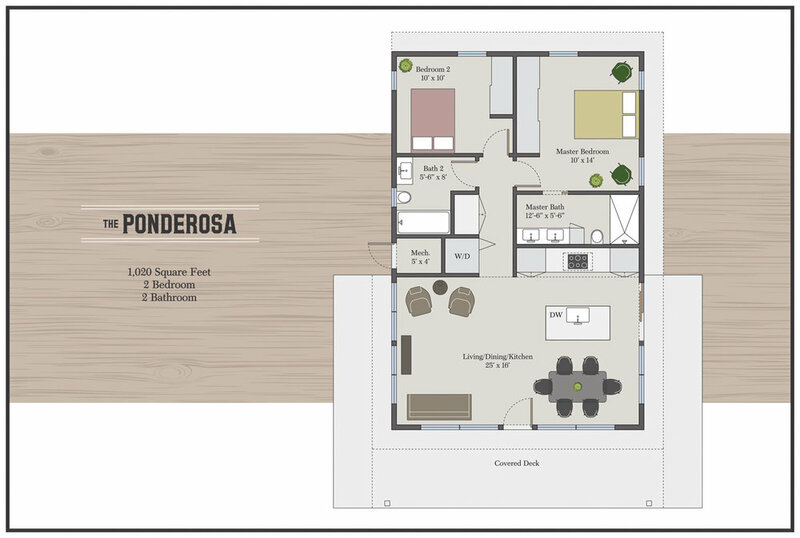 The Ponderosa standard floor plan includes two bedrooms at the rear of the home for comfort and privacy.